Auto Trader’s top 10 fastest selling cars table included no diesel cars in May as the BMW 3 Series became the first premium contender to top the chart for eight months. The petrol-fuelled 2016 BMW 3 Series saloon was the UK’s fastest selling used car during the month – taking an average of 14 days to sell – as BMW became the first premium brand to top the list since the 1 Series’ result in September 2016. There was no room for a diesel-fuelled vehicle in the top ten, however, and AFVs had a sole representative in the form of the 2013 Toyota Prius (automatic). Toyota’s Prius placed tenth, taking an average 20 days to leave the forecourt. 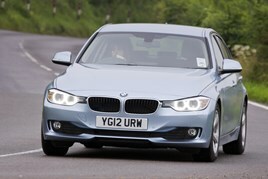 Karolina Edwards-Smajda, Auto Trader’s retailer and consumer products director, said: “The BMW 3 Series becoming the fastest selling used car for retailers in May proves that premium models with higher price tags can leave the forecourt as quickly as average used cars by following the same retail practices. 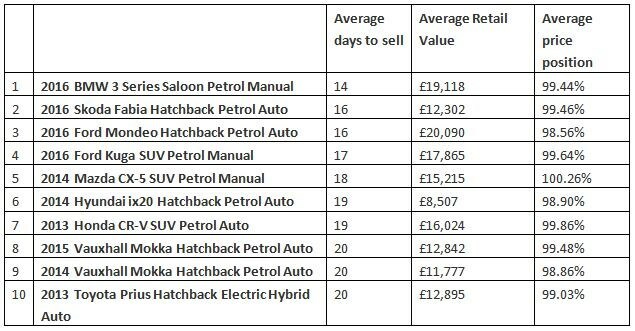 Joint second fastest sellers were the Skoda Fabia and Ford Mondeo, both taking an average of 16 days to sell when offered with the combination of a petrol engine and automatic gearbox. 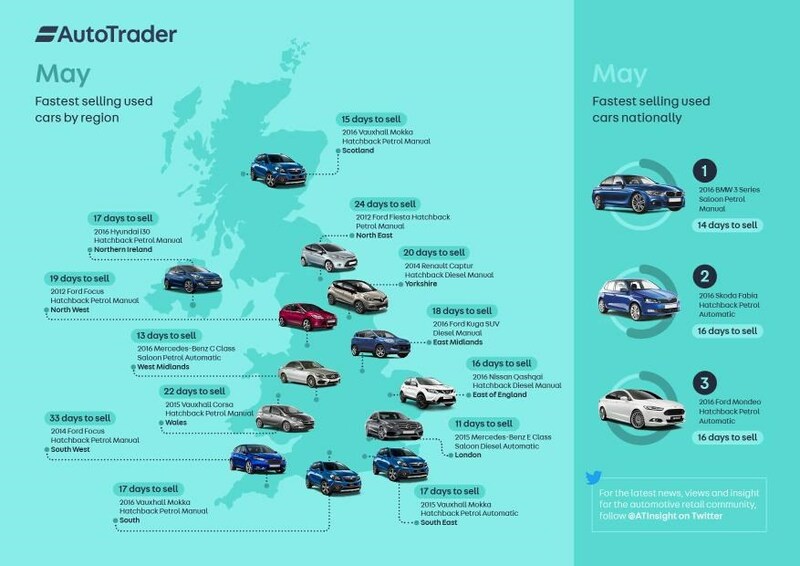 Mirroring similar results in April’s fastest selling data, hatchbacks performed strongly in May, taking up six spots in Auto Trader’s national top ten and topping eight out of 11 regional fastest selling lists. For car brands, May proved to be a popular month for both Ford and Vauxhall, the two brands topped four regional fastest-selling tables each – revealing seven hatchback regional fastest sellers and one SUV, the 2016 Ford Kuga, which was fastest to leave the forecourt in the East Midlands last month.